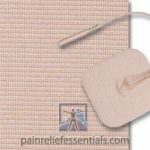 Instructions for proper Electrical Muscle Stimulator Pad Care and care of TENS Pads, EMS pads, Rhythm Touch pads, and TENS replacement pads. Purchasing an electrical muscle stimulator is an important step in living a life free of muscle aches and pain. 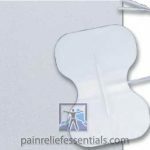 But it’s imperative that you buy, and then maintain, medical pads that are effective in providing pain control. Electrical muscle stimulator pad care includes proper usage of your electrodes as well as cleaning them and using them on clean skin. Quality medical pads are necessary and Pain Relief Essentials carries the best pads available. 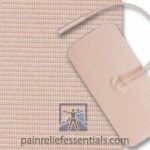 After purchasing Pain Relief Essentials’ medical pads and using them to find relief, you will need to inspect them regularly. The effectiveness of your electrical muscle stimulator or TENS unit diminishes when the pads start to wear. This is where the quality of pad is significant. Pads with low quality gel will change the effectiveness of the device very quickly – sometimes within the first couple of uses. And it isn’t the adhesive aspect of the pad that affects the effectiveness but the transfer of electricity through the pad. We recommend changing the quality pads every one-to-two months, or changing pads every 20-30 uses. Lower quality pads will need changing far more often – sometimes after only two-or-three uses. Save 10% on TENS / EMS / and Rhythm Touch Electrodes and Supplies. Join newsletter for your code. Replacement pads for any kind of electrical muscle stimulator – whether it is a TENS unit, an EMS, Russian TENS or the Rhythm Touch – will usually last for one-to-two months or 20-to-30 uses. Electrical muscle stimulator pad care includes proper usage of your electrodes. It’s important that you clean them often and only use them on clean skin. If your electrodes give you a shocking or burning effect, it is very likely that their moisture content is too low or that they have become fouled with dirt, oil from your skin, or have become contaminated with skin cells or other elements. When this happens, you will find they have reduced conductivity and/or reduced adhesion. Both of these cause less productive performance and the latter could even be damaging to your skin. The pads are moisture sensitive. For longer pad life, wipe the pads off after every use with “wet ones” – a moist toilette available in individual packets or in containers of up to 100. Remember: good quality pads can last up to three times longer than cheaper electrodes BUT do not have to cost many times more! We offer the most widely-used pad size of 2 x 2 squares though we also provide varying sizes that work. Electricity passes through these electrodes at a very specific rate – a rate determined to be the most effective for relief. With use, the resistance changes. And this changes the effectiveness of the electrical muscle stimulator. For best results, the electrodes should be replaced every one-to-two months; with everyday use, the electrodes should be replaced every 20-to-30 uses. 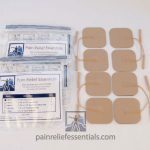 With proper electrical muscle stimulator pad care and storage, these electrodes may be used multiple times. It is important to note that these are intended for single patient use. Clean and dry application area. Apply electrodes to unbroken skin only. Open and save pouch. Remove electrodes from package. Peel electrodes away from release sheet by lifting the edge of the electrode, not by pulling the wires. If electrode seems dry, add a few drops water to moisten gel and wait a few minutes to allow water to re-hydrate the gel. Place electrodes on treatment area. Superior pads are very sticky. Apply finger pressure to electrode edge and press entire electrode to assure adequate contact with skin. 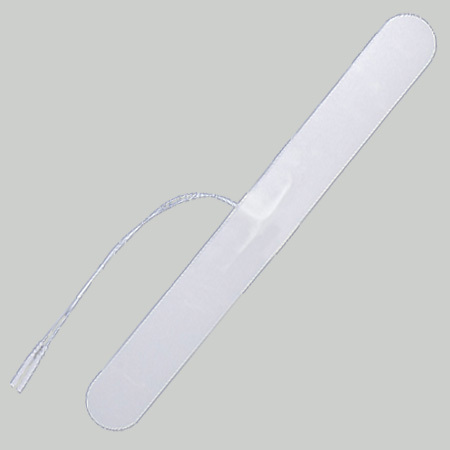 Wipe off electrode with a non-alcohol wipe, baby wipe, or wet one. Grasp the edge of the sticky pads and carefully pull away from your skin to remove. 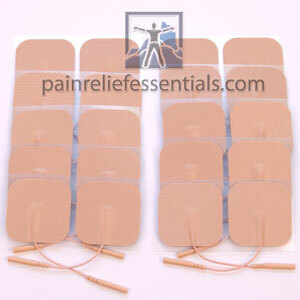 For the best electrical muscle stimulator pad care, gently peal off sticky electrode pads. Note: The life of an electrode varies depending on skin condition and care, skin preparation, type of stimulation, storage and climate. Your electrodes will need to be replaced when you notice any change in effectiveness of your unit or any change in the way the stimulation feels. Waiting too long to replace your electrodes will reduce the effectiveness of your unit. 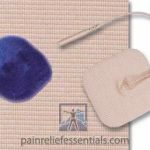 Using proper electrical muscle stimulator pad care will extend the life of your TENS or EMS electrodes for up to 20 – 30 uses.